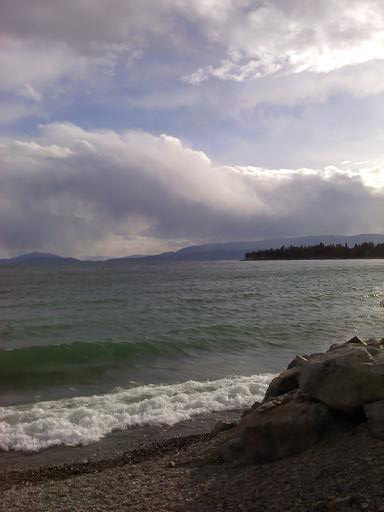 Storm brewing on Flathead Lake, Montana! One could feel an incredible energy while standing on the shore. Almost like being on the shore of the ocean. If only that energy could be funneled into my being. Perhaps it can be. What do you think?